There are so many wonderful Napa Valley romantic getaways. Wine tasting is for sure the most popular activity here, but we’re also famous for award-winning hotels and Michelin star restaurants. In honor of Valentine’s Day, I thought I’d highlight some of the most luxurious Napa Valley romantic getaways outside of tasting rooms and vineyards. There are literally hundreds of locations throughout this area that are ideal for weddings, romantic vacations or special date nights. 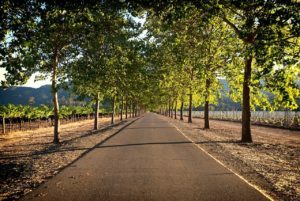 The following are just a few examples of why Napa Valley should be your destination for romance. Auberge du Soleil: One of Napa Valley’s most iconic luxury properties, Auberge du Soleil is a Mediterranean-inspired resort terraced along a sunlit hillside and nestled among a 33-acre olive grove. On the slopes of the Rutherford Hill, high above the valley floor, the “Inn of the Sun” is world-renowned for its Michelin dining, award winning spa, breathtaking views and exceptional service. The resort’s pool and cabanas are ideal for romance, with gauze-draped canopied lounges and delicious poolside dining. Harvest Inn: Located near downtown St. Helena, the Harvest Inn is both rustic and elegant, surrounded by lush landscaping and partially forested by towering redwoods. This inn puts guests in the heart of wine country by offering vineyard view rooms. Adding to the romance is a complimentary bottle of wine offered upon check-in. Side-by-side couples massage and rose petal turndown service are also available to make a romantic vacation extra special. Meadowood Napa Valley: Nestled among 250 private acres in St. Helena, Meadowood offers exceptional amenities including a Michelin three-star restaurant, golf, tennis, croquet, an award winning spa, tailored wine experiences, cooking classes and more. Resort guests are invited each afternoon for a wine tasting, which typically features two varietals, one red and one white. The resort also offers a complimentary house car to take guests to downtown St. Helena or Yountville. Bottega: Led by longtime Napa Valley resident and acclaimed celebrity chef Michael Chiarello, Bottega showcases “bold Italian flavors” with a “refined twist.” The restaurant is located on the historic Vintage Estates Property in Yountville and features a warm ambience that is both rustic and refined. Bottega has two indoor dining rooms, as well as an outside covered Terrazzo with two wood-burning stone fireplaces. Celadon: This award-winning restaurant, located along downtown Napa’s riverfront, offers a menu of “global comfort food,” featuring flavors from the Mediterranean, Asia, and the Americas. The restaurant also features an extensive selection of cocktails, wine and beer. Celadon has a beautiful dining room, bar, and charming garden terrace perfect for any romantic occassion. The French Laundry: This world-renowned restaurant, featuring fine French cuisine, is headed by highly acclaimed chef Thomas Keller. Located in Yountville, the Michelin Guide San Francisco recently awarded The French Laundry their highest rating of three stars for the sixth year in a row. The French Laundry is also known for impeccable guest service. Reservations are recommended at least two months in advance. Art galleries: From Napa to Calistoga, art enthusiasts have an abundance of contemporary and fine art galleries to choose from. For lovers of contemporary art, the thought-provoking di Rosa experience is a must-see. The property, located in the Carneros region of Napa Valley, includes three separate galleries, a sculpture park, a 35-acre lake, and a wildlife preserve. Hot air ballooning: Want to spice up the romance with a little adventure? Early morning hot air balloon rides provide the most breathtaking views of the vineyards and mountains of Napa Valley. There are several highly experienced hot air balloon companies here, and most include a champagne breakfast post-flight. Theaters: In addition to the Century Napa Valley and XD movie theater, Napa Valley offers several venues for the performing arts. 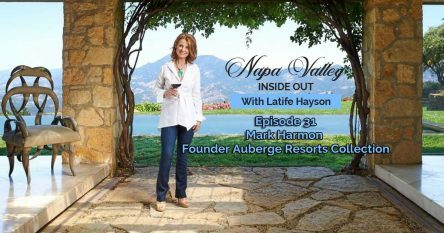 The Lincoln Theater in Yountville is a comprehensive performing arts center that features world-renowned artists and produces Symphony Napa Valley. The Uptown Theatre in downtown Napa draws some of the biggest names in show business and is one of Napa Valley’s top destinations for live music and comedy. 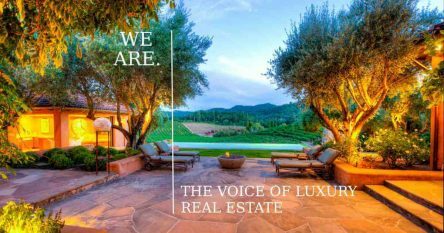 If your vacation to Napa Valley includes an interest in real estate, I have a wealth of experience in complex wine country property transactions and would be delighted to help you. Contact me at 707-738-4820 or via email at [email protected]. I would welcome the opportunity to share my extraordinary offerings and insider information on luxury estates, vineyards and wineries. I’m looking forward to discussing your needs!